We have written at length about the absolute unparalleled beauty of Niagara Falls during the winter, but we have barely nicked the surface. Visitors can enjoy the wintertime by participating in a variety of sports perfect for this time of year. Winters in Niagara are snowy yet mild, which creates the perfect environment for any type of winter play. 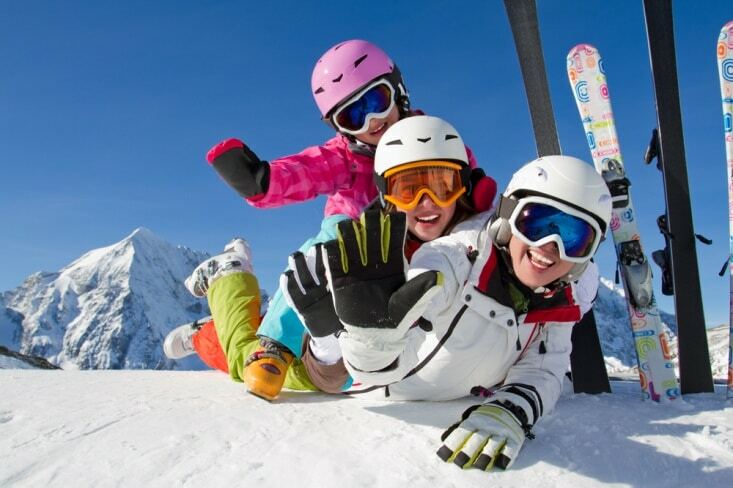 Instead of waiting for the busy, hot summer months to see Niagara Falls, grab your skis, sleds, snowboards, skates, and sense of adventure for a thrilling Niagara vacation you won’t soon forget. Bond Lake. A public park within Niagara County, Bond Lake offers more than 13 miles of absolutely free cross-country trails. To cool down and warm up after a long day of skiing, the site has a skating rink and a warming house as well as a tubing hill to entertain less-avid skiers. Kissing Bridge. Less than 30 minutes from the city, the Kissing Bridge falls in a region called the Colden Snowbelt, which receives an average of 180 inches of snow every year. There are more than 36 downhill trails over the park’s 900 acres, and most of the trails are lit for use at night. 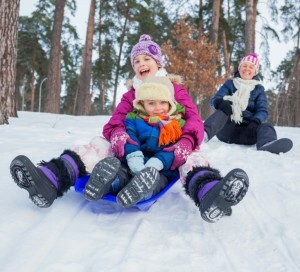 The activity goes by a whole slew of names throughout the world, but in Canada, the proper term for riding a sled down a snowy hill is “tobogganing.” Local Canadians enjoy the sport just about year-round — grassy hills are just as conducive to tobogganing as snowy ones — but deep winter after a full night of snowfall always feels the most appropriate. The hilly terrain within Niagara Falls perfectly suits extreme and gentle tobogganing alike, and throughout the winter, visitors are likely to see dozens of excellent toboggan spots around the city’s numerous parks. There is near unanimous agreement that Fireman’s Park, where eager tobogganers can find a plethora of excellent hills, is the best spot. Some keen tobogganers even bring their own ramps to make their toboggan ride that much more exciting. Still, if Fireman’s Park doesn’t suit your toboggan style, you can search out the perfect hill anywhere else in the city. Niagara Falls transforms into a winter wonderland during the coldest season of the year, which makes it a utopia for fans of frigid sports. If you are looking for a new winter vacation destination but need a spot that gives you a shot of adrenaline, look no farther than Niagara Falls.